Every day we come and go repeatedly, in and out of our garage. We use our garage as a multi-purpose room. As a warehouse, workshop or a gym. This daily routine keeps the garage door continuously operating. Therefore, it wouldn’t be a bad idea to keep it in great shape. Especially if we take into consideration the fact that it is one of the largest moving objects in our home. In Colorado Overhead Doors, customers and their safety are our number one priority. We would want to share with you some handy information that can help you locate any problems or issues in your overhead garage door system. Springs can get worn down and snap – a very common problem. If the springs break, the cable can also break and must be replaced. 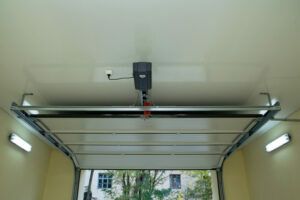 Some garage door openers, like the LiftMaster have two safety sensors on each side of the garage door. Sensors create an invisible beam and will stop a garage door from shutting if an object is in the way. Check if something is in the way of the beams. If that doesn’t solve the problem, call Colorado Overhead Door CO, and our licensed professionals will realign and clean your safety sensors. Remember you open and shut your garage multiple times a day. The batteries have to be replaced eventually. Even a battery backup opener has a battery! Keep extra batteries on hand for a quick fix. 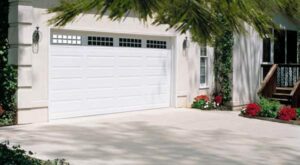 To open and close, your garage door runs on a metal track. If you see gaps between the rollers and rail, your door needs to be repaired. 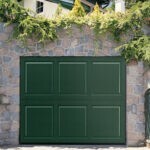 The repeated “ups and downs” of a garage door might eventually break the springs. If you try to open your door and can’t or if it’s connected to an opener and it only goes up a few inches before stopping, you most likely have a broken spring. 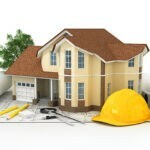 Never attempt to repair any electrical or mechanical problem on your garage door, by yourself. Some of these problems are complicated and dangerous. Leave it to the specialist. Call us today at Colorado Overhead Doors and get a free estimate! 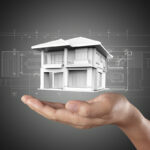 We will properly balance and tune your garage door leaving it like new.